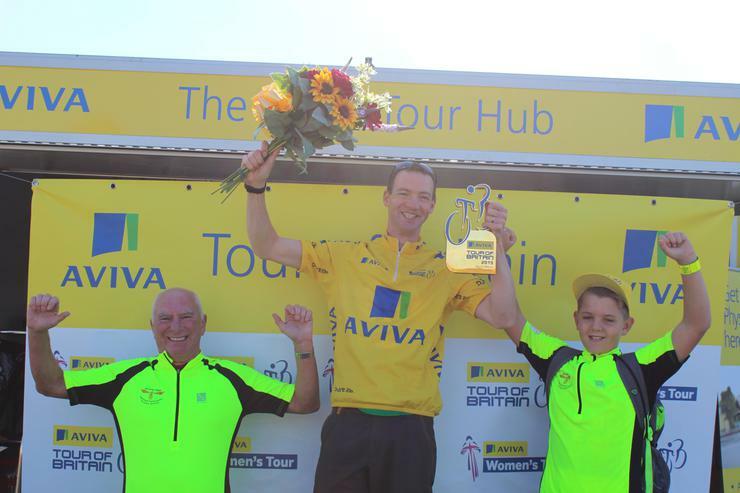 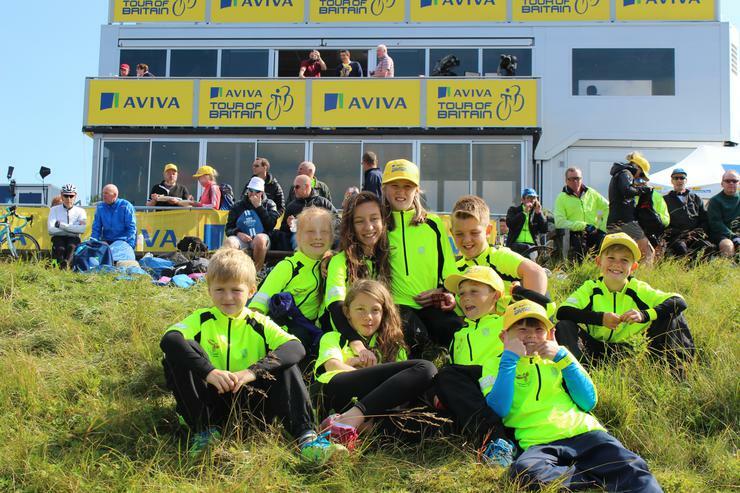 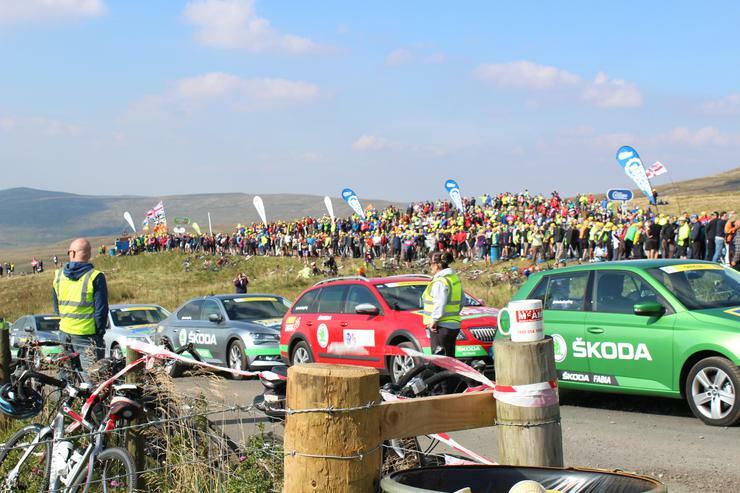 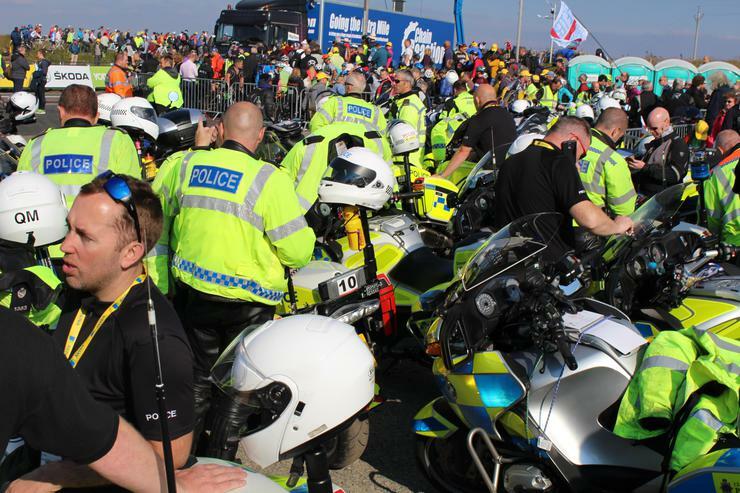 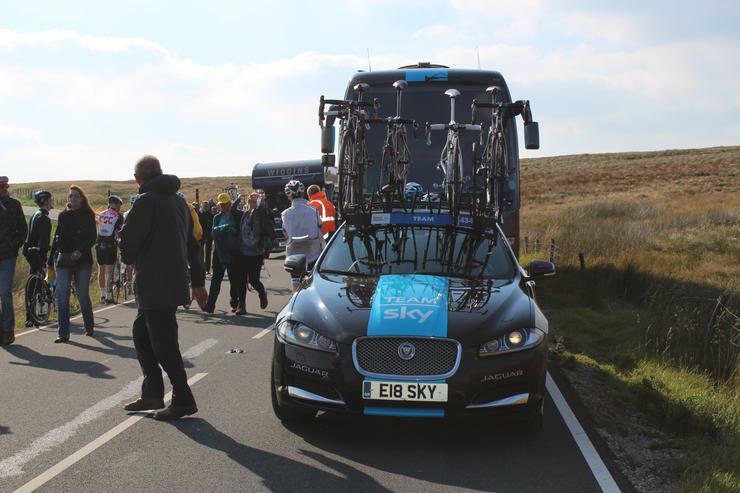 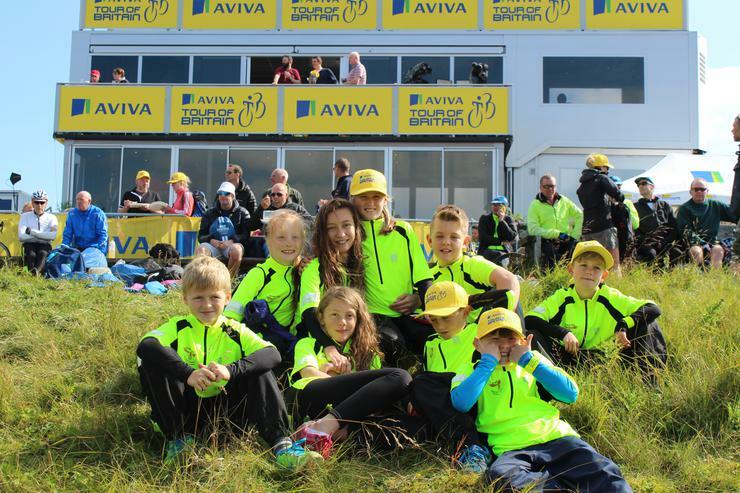 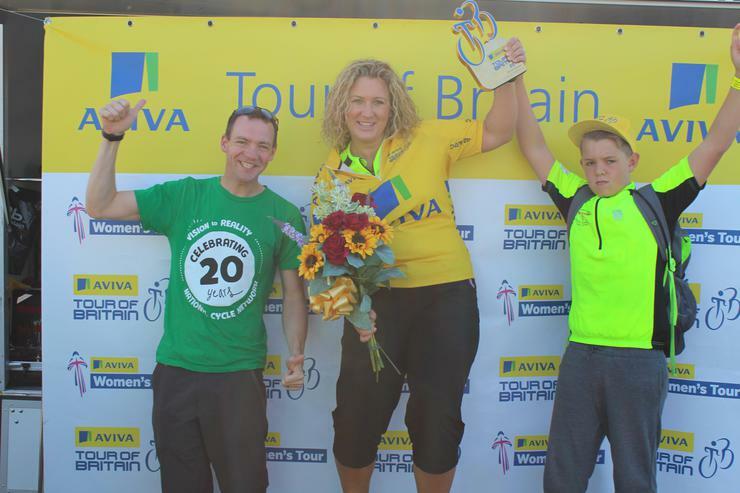 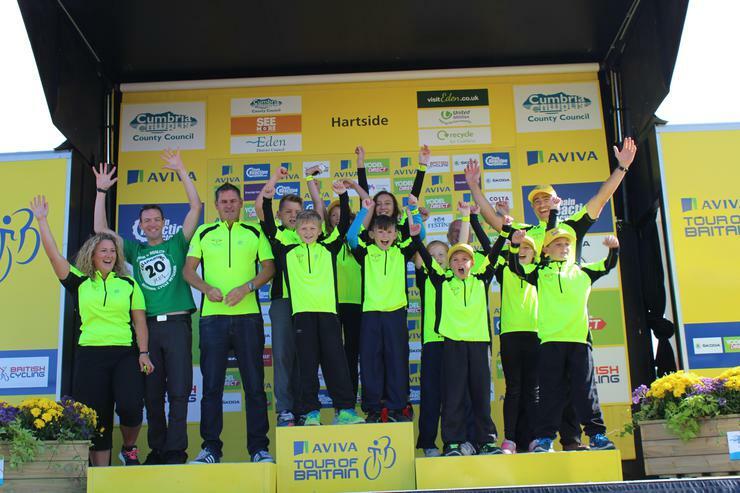 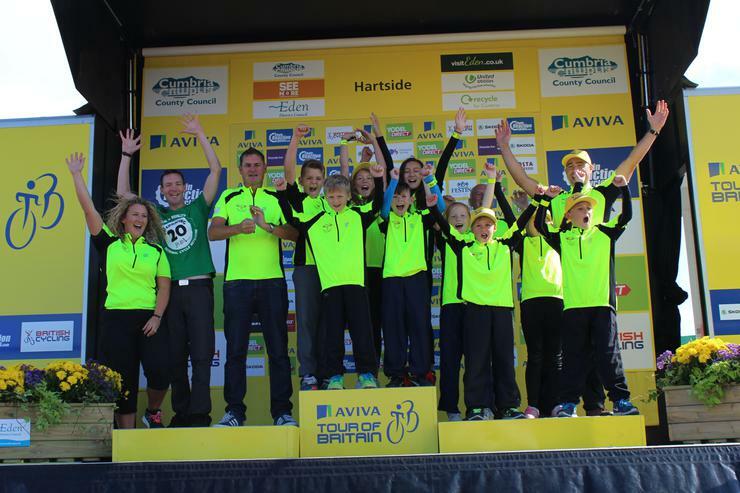 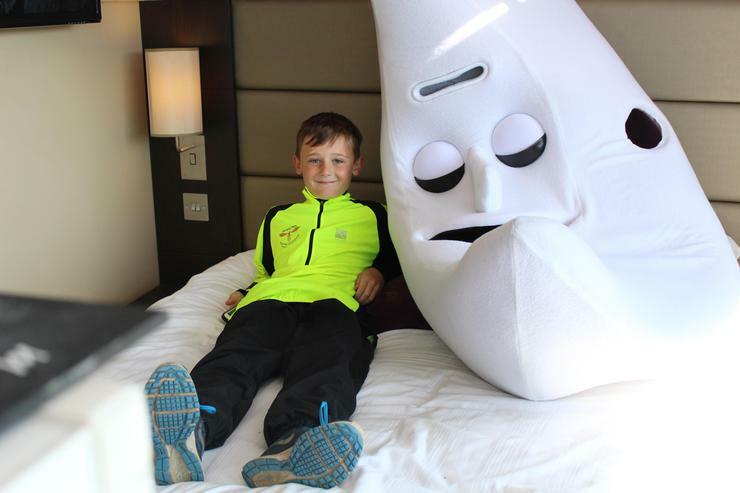 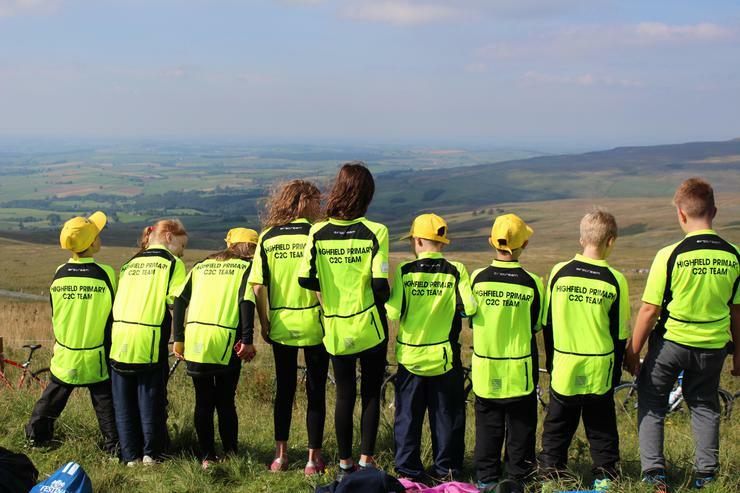 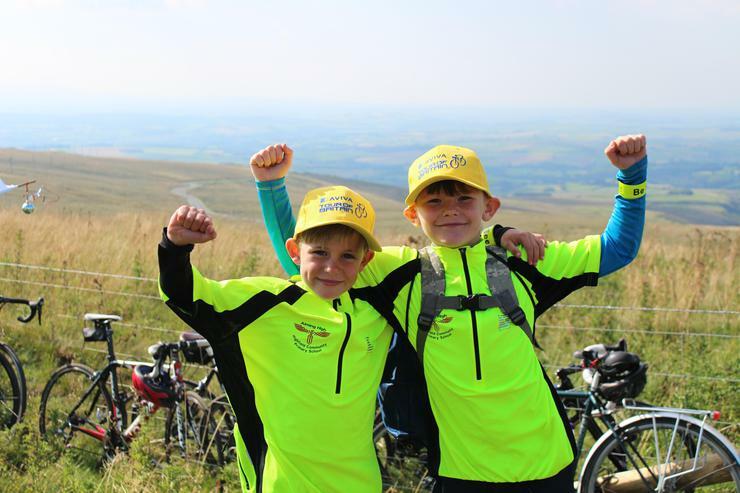 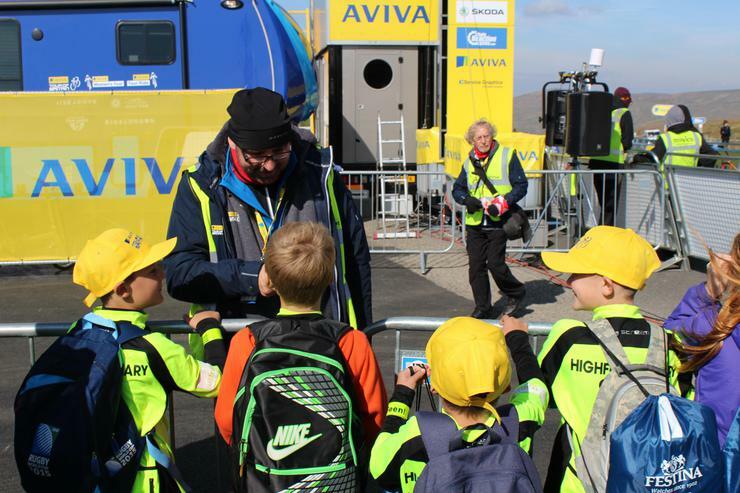 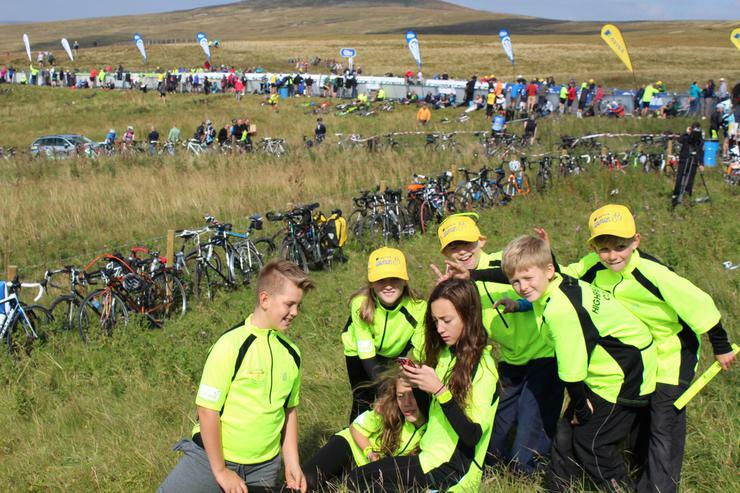 On Thursday 10th September we took the children that completed the Coast to Coast bike ride in June to Hartside Pass to watch the completion of stage 5 of the Tour of Britain bike race. 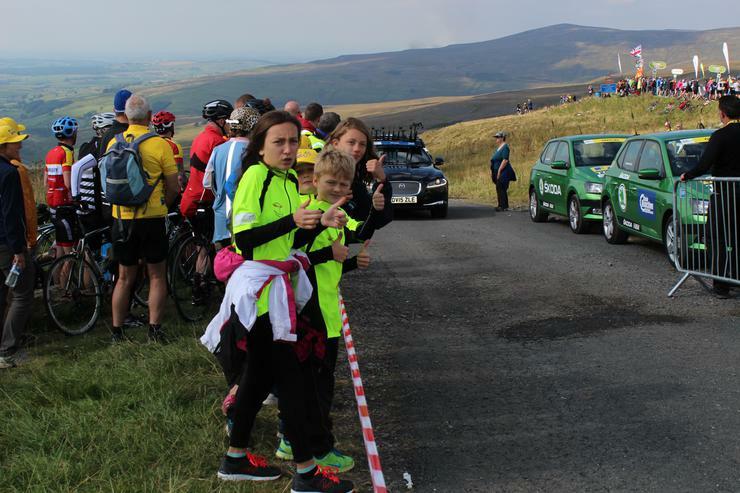 We had been invited by one of the organisers who we bumped into at Hartside Pass during the Coast to Coast. 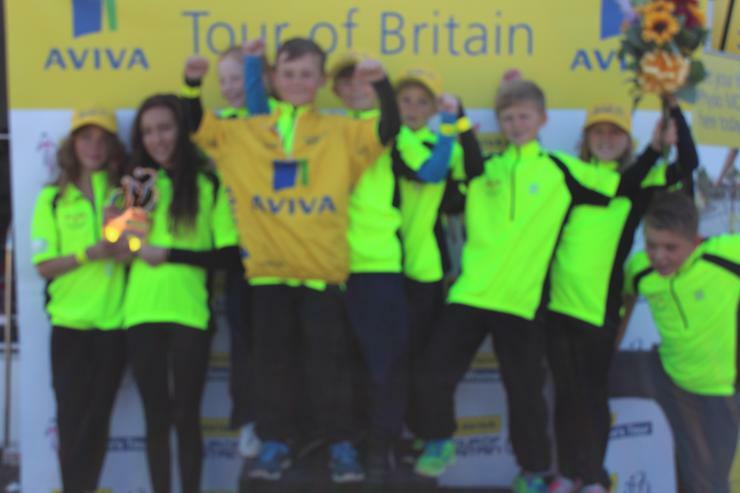 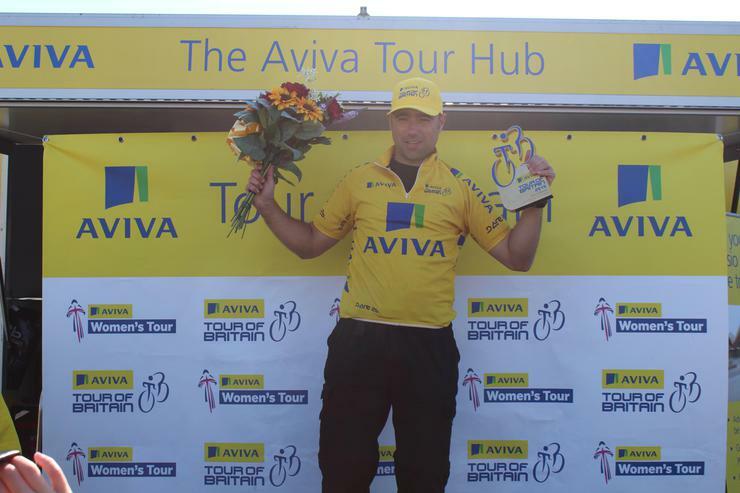 He was so impressed with the children that he invited them to the event and let them pose for pictures on the finishing podium! 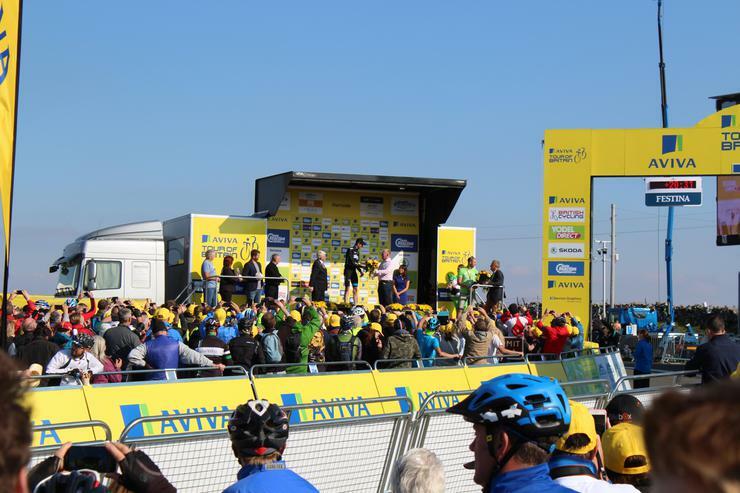 We had a great day and got to see the finish of the race. 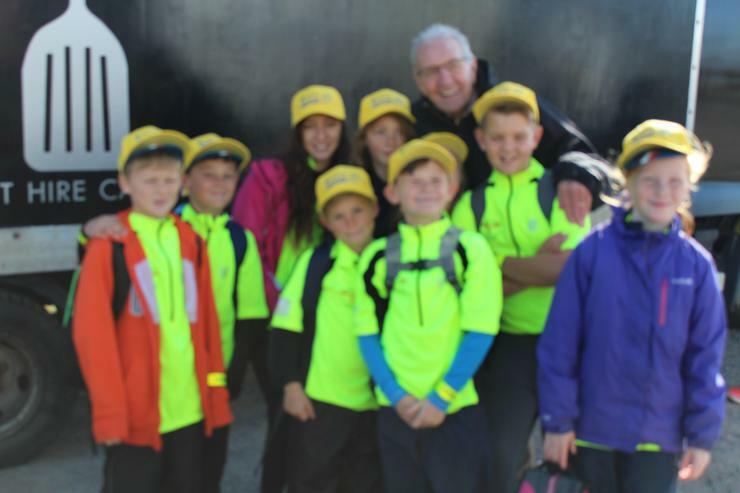 The children even managed to get on the Look North news!